Mugs are the classic household products that are found in almost every home. Everybody drinks out of a mug - it’s very practical and easy to hold. This particular product is white in colour with a printed image of autumn season leaves on it. It gives it a very seasonal vibe. The mug has a capacity of 220 ml and can be used to drink water, coffee, tea and whatnot. The product comes in a setoff two mugs that have a depth of 74 mm. The mugs are made out of opal that gives them the shiny, clean look. 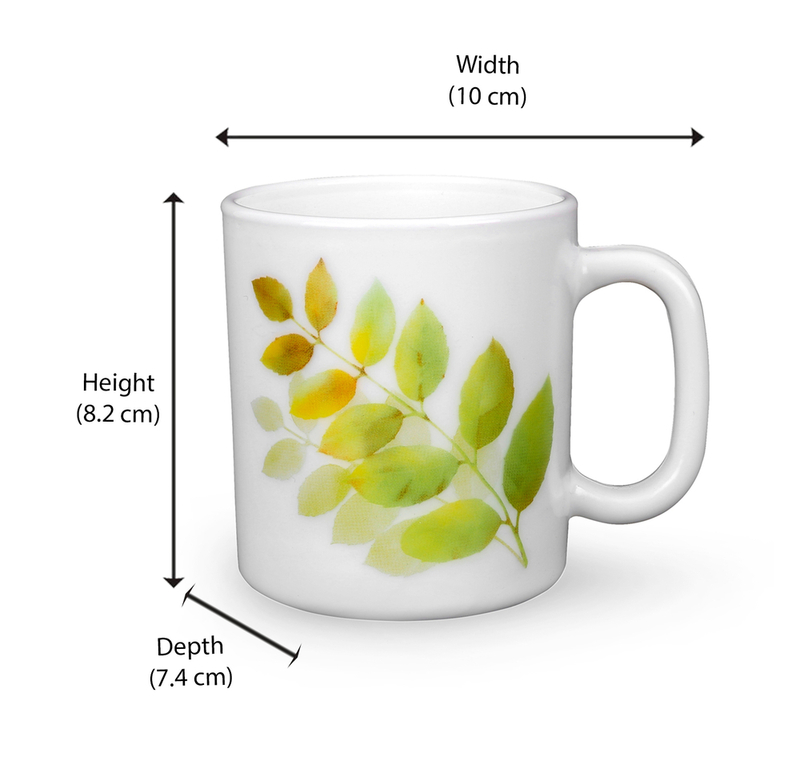 Autumn Shadow Set of two mugs is a multicolour product brought to you by Nilkamal. They are perfect for every home. It can be used when guests come over and whenever you have those sudden cravings for having your favourite hot drink. It has a comfortable hold with a perfectly shaped holder that makes it easy to carry when there is hot stuff poured inside. Find these gorgeous mugs for this price only from Nilkamal’s exclusive @Home collection. Don’t forget to check out many more such household essentials at great prices and unbelievable discounts!